Truecaller, the well known caller identification ID app will be setting up a regional headquarters in Nairobi Kenya and localizing services. Like other internet giants, the company has settled on Kenya because with our robust uptake of new technologies, we’re its biggest market in Africa. Truecaller which has since moved from a simple caller ID software to a full communication suite has been in operation since 2009. It was created with the aim of making communication safer. One major nuisance that comes with mobile advancement in the world is unwanted or spam calls and texts. But that cannot stop us from communicating and when Truecaller came, it fit into a very useful and important niche for many people. So much so that it soon became one of the fastest growing and most downloaded app on the app store. India is its biggest market but in Africa, it has over 50 Million users. In Kenya alone, the app has over 6 Million users, blocking upto 4 Million calls per month. Users identify over 500 Million numbers per month. It is also interesting to note that 11% more women than men report spam calls through Truecaller – quite an understandable statistic especially in these days of digital bullying. Given the numbers here, it therefore makes sense for the company to have an office here in Kenya, as well as to offer more innovative services associated with it. “Over the years, Kenya has consistently been a top market for us, with some of our highest usage globally, which is why it made sense for us to set up a strategic headquarters in Nairobi. With this positive momentum of growth, we look forward to bringing new, innovative and localized services and offerings, and expand our presence and start engaging more deeply with the tech eco-system.” said Zakaria Hersi, Director of Partnerships, Africa at Truecaller. 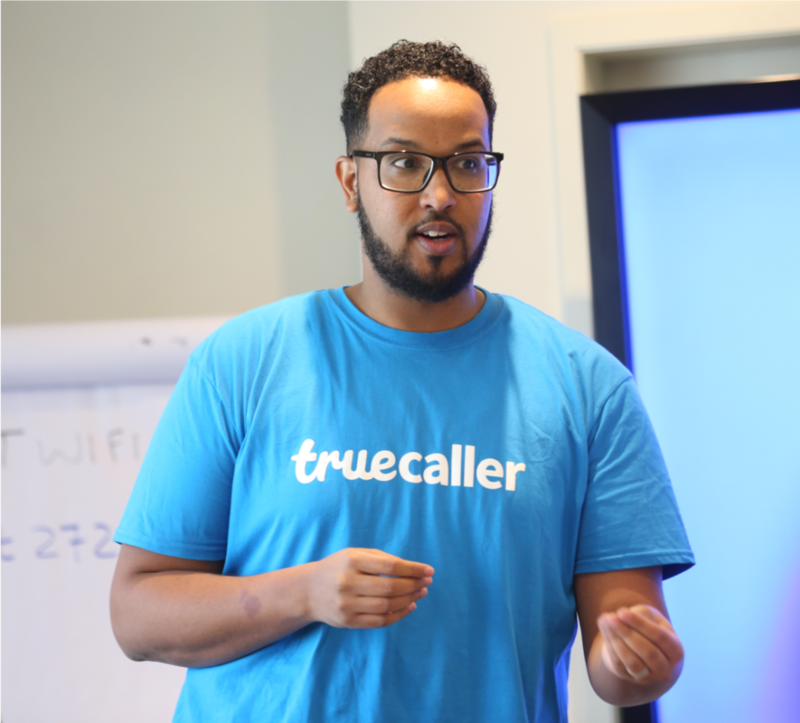 Zakaria Hersi is already in the country spearheading Truecaller’s expansion into the region. He’s already crafting partnerships with other players who are keen on safer communication for everyone. Zakari’s strong field of work is launching market places around the world, and is credited with helping Swedish Investment firm Kinnevik launch Saltside in Nigeria where he was the Managing Director.